So waaay back in 1995, I put some stuff in a shed. 23 years later, I opened the shed. And there it was, all forgotten. 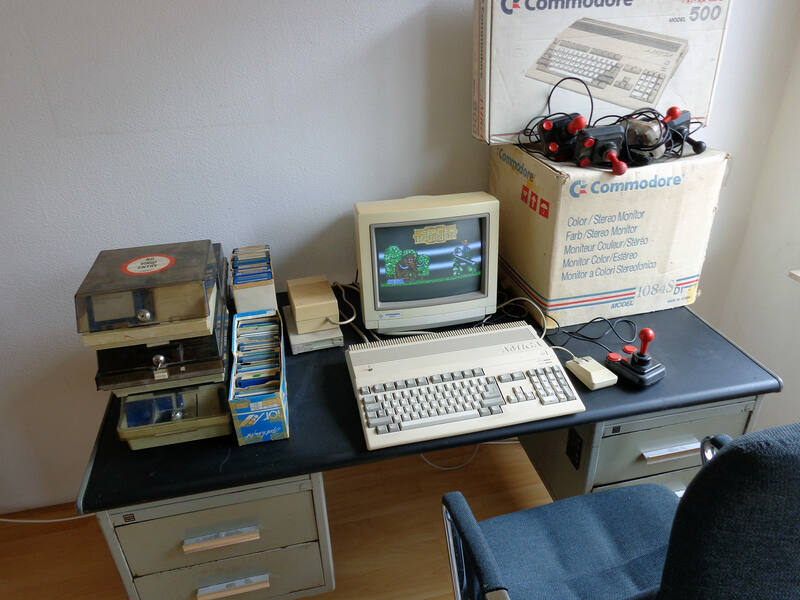 My old desk, my old Amiga 500, a couple of hundred of floppy disks, and a couple of hundred magazines. The stench is horrible, it all reeks of mold. The magazines, lots of Crash, Sinclair Magazine and Amiga magazines, I briefly flipped through and threw out. Ok, I might have kept the fold-out Maria Whittaker poster for Barbarian. There was mold inside the Amiga, but it still booted after a clean-up. The keyboard with space-invaders is all worn out, it feels horrible except some of the lesser used keys. Maybe one in four floppies still work, inside these there's also mold. 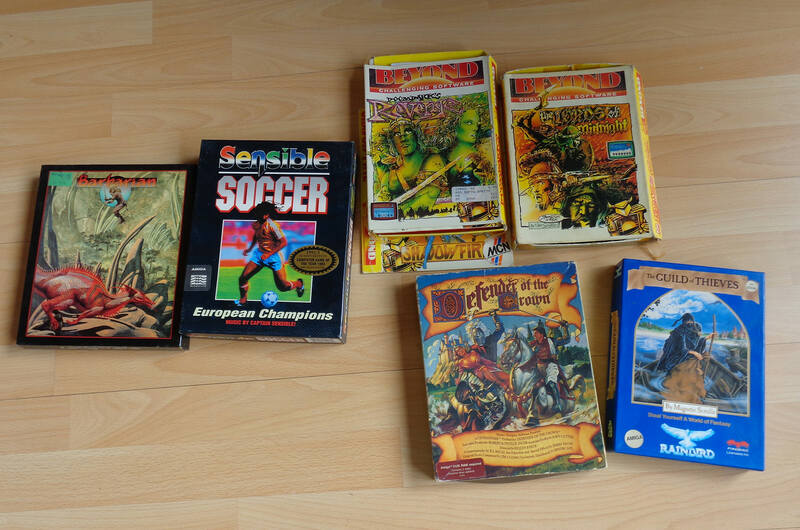 Even some Speccy games... Lords of Midnight signed by the late Mike Singleton and team! Post this to /r/retrobattlestations on reddit!!!! 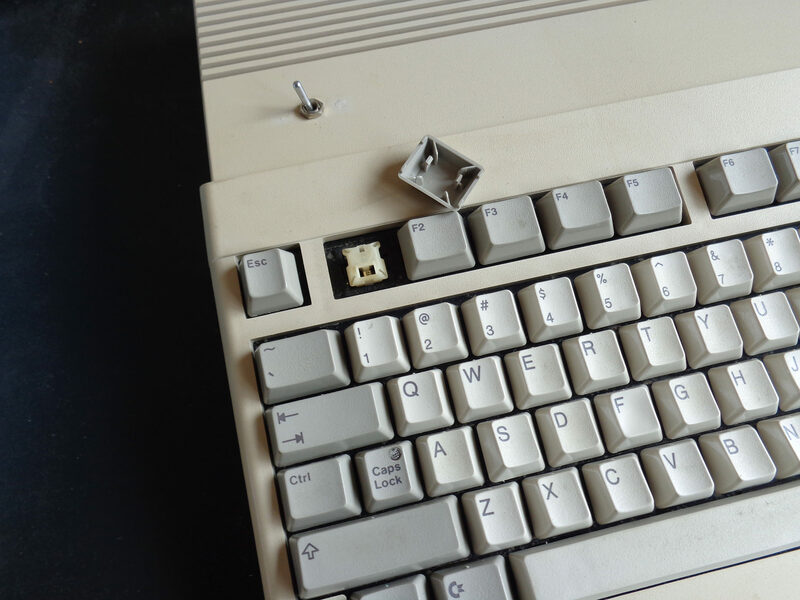 Too bad your Amiga keyboard has gone bad. Space invaders are cool. I see you had a favourite joystick type. For me it was the TAC-II. Chicken lips case...mmm Workbench 1.2 & Kempston Qiuckshot Pro, the only joystick for Sensible Soccer! I hardly played it. Kick Off all the way!